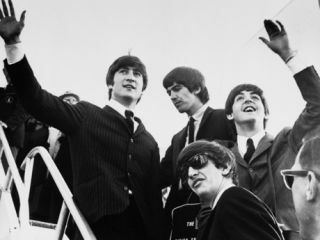 After just one day, songs by The Beatles account for 15 percent of iTunes UK's Top 200. While single tracks snagged the lion's share of downloads, full albums by the Fab Four also made strong showings, with two of the group's 'best-of' collections having the biggest impact: the 'Blue' 1967-1970 set is ranked at number 10 while the 'Red' 1962-1966 package is number 13. Sgt Pepper's Lonely Hearts Club Band clocked in at number 11.